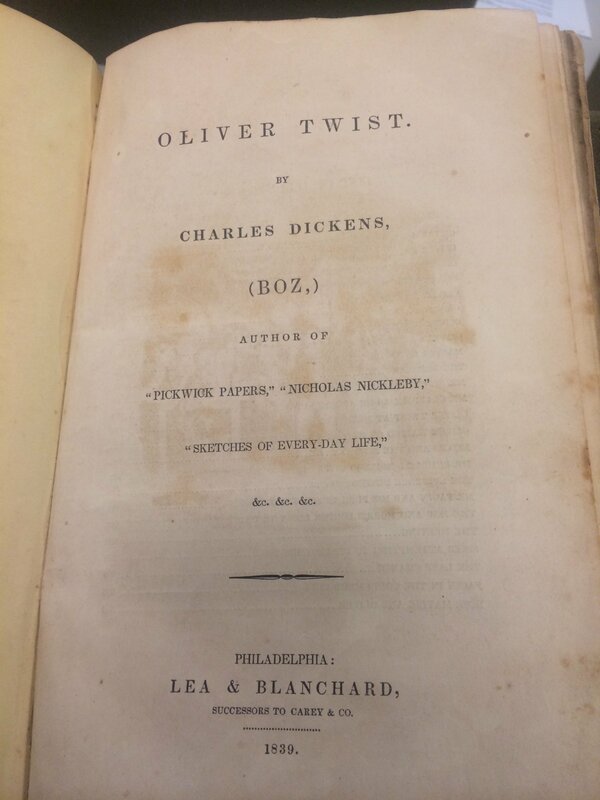 Lee & Blanchard publishing company in Philadelphia printed this edition of Charles Dickens’ Oliver Twist in 1839. Lined with countless advertisements and illustrations, this American, pirated work gives insight into the rising global literacy rates by the mid nineteenth century given its target audience: average, common individuals. Although the book’s binding is falling apart, this particular copy of Charles Dickens’ famous work has survived through over a century of wear and use. Although Dickens penned and published Oliver Twist in England, Lee & Blanchard, a Philadelphia Pennsylvania-based publishing company, still managed to print this 1839 copy of Dickens’ work. During the mid-nineteenth century, international copyright laws were virtually nonexistent. 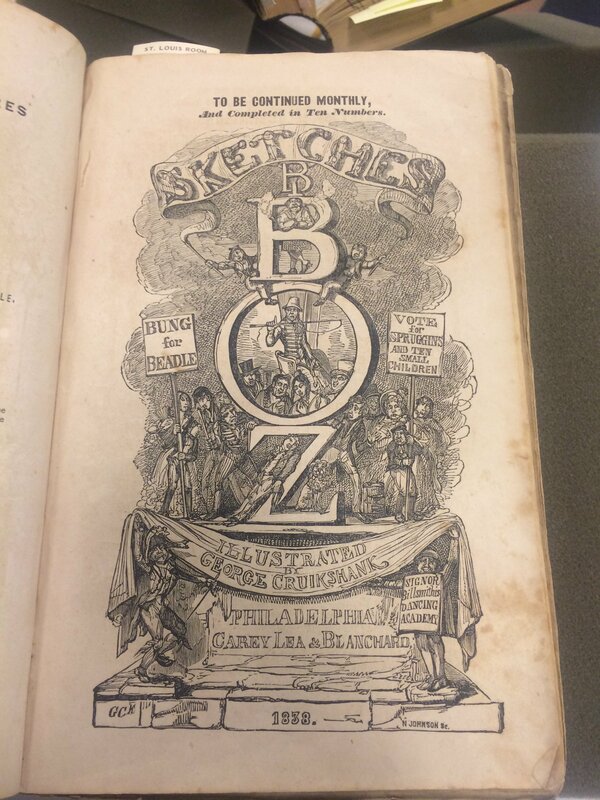 Dickens did not receive compensation for American copies of his books such as this one. 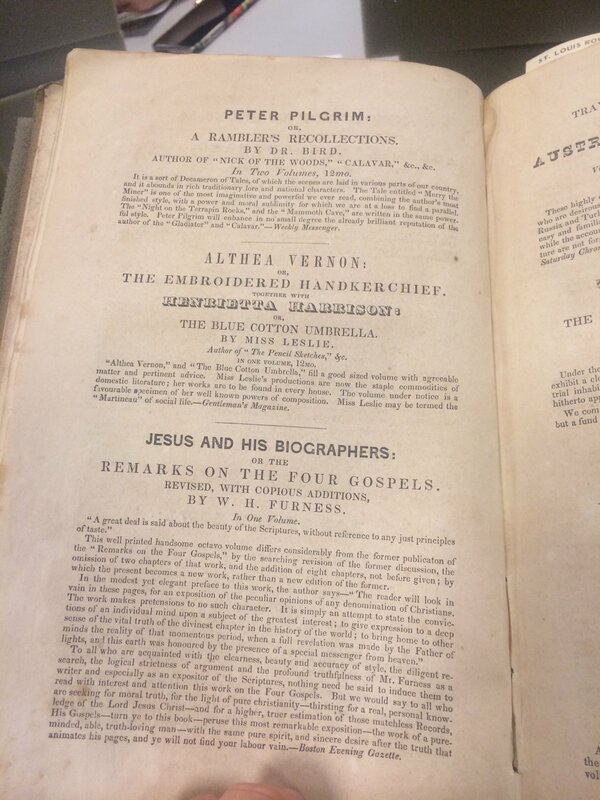 Dickens was not the only author losing money to piracy; William Wordsworth, Thomas Carlyle, and many other popular authors suffered from the same problem. Although the Copyright Acts of 1838 and 1842 as well as the Foreign Reprints Act of 1847 attempted to mend this issue, the legislation was not well enforced. 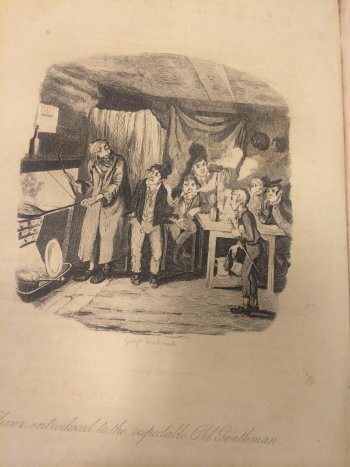 This particular edition of Oliver Twist and other works like it stood as an example of the necessity for change, demanding that foreign authors receive compensation for their work. Finally, a joint British-American law, the Chace Act of 1891, secured compensation for British authors hoping to publish their works in America. After publishing their work in England and sending a copy to officials in Washington D.C., English authors would receive royalties through mutual agreements between U.S. and British copyright companies. 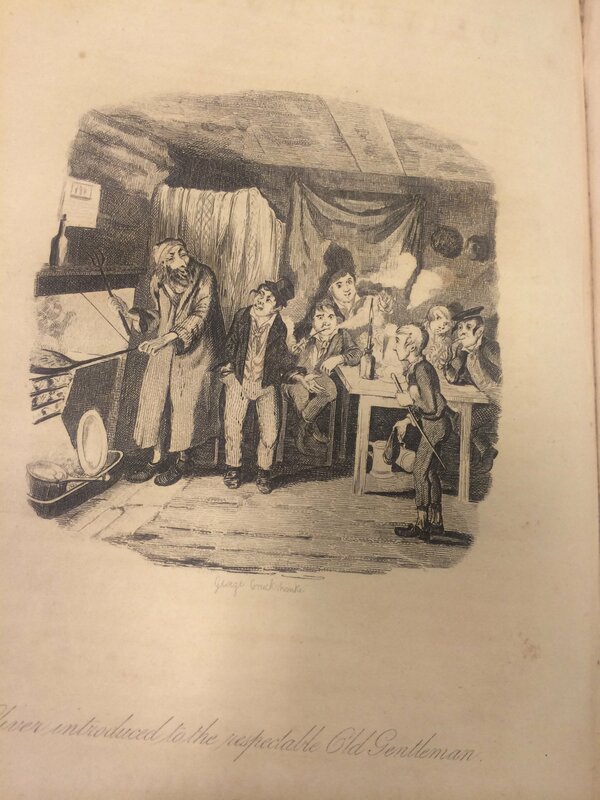 This law and many other more rigid international copyright laws created later in the twentieth century find their roots in books like Lee & Blanchard’s Oliver Twist. These international copyright laws eventually made it possible for readers of any nation to enjoy works from around the world.